Salisbury Pink Granite Vanity Tops (fit Kohler brand 14" x17" Caxton) with three flat polished edges so that they can be used left walled, right walled or no walls. The centered undermount sink-holes are immaculatly polished and ready for installation over Kohler Caxton undermount sinks. These vanity tops fit over standard 21" deep vanity cabinets in a variety of widths including 24", 30", 36", and 48" (the 48" top can also be used on a 36" right or left sided vanity by trimming it). All vanities have Flexfaucet(tm) centers (single or 4" or 8" centers). For 60" vanities, you can use our Bath Slabs. These Vanity tops are slightly wider than others so that they can be used with IKEA brand prefab vanity cabinets. IF ORDERING MORE THAN ONE VANITY TOP, PAY SHIPPING ONLY FOR THE LARGEST. Vanity Top (including undermount hole) for 21" deep x 24" wide cabinet. Vanity Top (including undermount hole) for 21" deep x 30" wide cabinet. Vanity Top (including undermount hole) for 21" deep x 36" wide cabinet. Vanity Top (including undermount hole) for 21" deep x 48" wide cabinet. 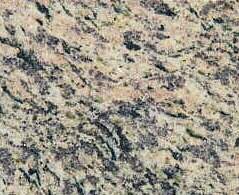 � 2000-2007 Do It Yourself Granite. All Rights Reserved.